Let’s face it. One of the toughest millennial issues is how to deal with break-ups. You go through all stages of grief, drown your sorrows in alcohol, keep swiping right on every profile you see and attend every and any house party to beat your blues. But it’s now time to break up with the regular routine and try something new. Everyone says learning is fun, and as we start adulting, we forget the joy of discovering and honing new skills. And we’ve discovered a super awesome bungalow in Vile Parle that demands nothing more from you than switching off your phone and engaging in sessions of calligraphy, oil painting, Tanjore painting and more. The classes start at INR 650 for short courses and INR 1,850 for 6-8 classes, depending on the course. They say singing away the blues help -and we think so too! Join this super awesome group that jams together, providing you with a safe space to express your musical side. With Music Jammin’ Mumbai, go beyond your day-to-day job and listen, perform and support like-minded musicians. And hey, if it helps Adele, it’s definitely worth a try right? In the middle of bustling chaos in your mind, take a break and rediscover the city. The Mughal Masjid is both architecturally stunning and a beautiful sight for sore eyes. Soak in the tranquility and immerse yourself in the intricate tiles, and we promise it’ll transport you out of Mumbai, and into a land of meditation and peace. Need to rage and vent it out? We get it. But instead of breaking their car windshield, break a few blocks at this karate class instead. With classes held post 7 pm over the weekend, this is perfect remedy for getting stronger – both mentally and physically, and learning a new activity. Looking to deep dive into the blues? Then kickstart learning scuba diving, and that too in the city. With two schools in Mumbai that’ll train you how to scuba dive, you can get certified as a diver and learn how to conquer the sea. And hey, this serves as a good reminder – there are always more fish in the sea! 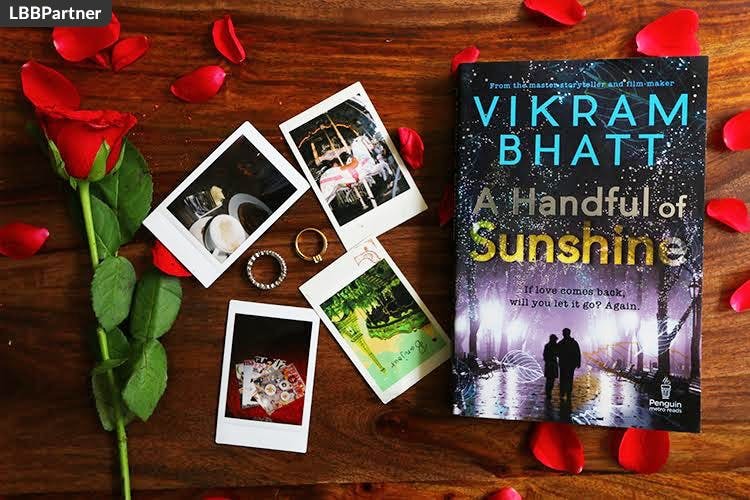 Vikram Bhatt is a celebrated filmmaker and now author – with this recent creative endeavour – Handful of Sunshine, you can delve deep into love that is both painful yet timeless, magical yet heartbreaking. Out on stands now, go grab your copy and lose yourself in the world of romantic fiction.